Steampunk refers to a science fiction subgenre inspired by the 19th century and the incredible steam-powered machinery that revolutionized the industrial era. It also applies to art, fashion and many other subcultures, but today it's what inspired my latest LBD makeover. 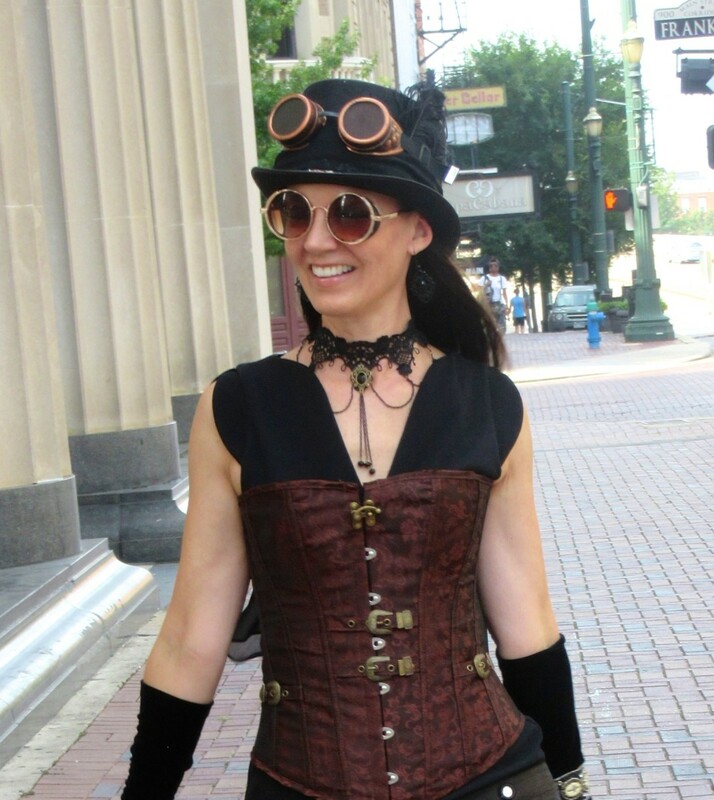 Steampunk can be described as a mix of Victorian England and America's Wild West. Corsets, bloomers, booties, lace chokers and blouses, metal buckles, high-top hats and of, course, the goggles. 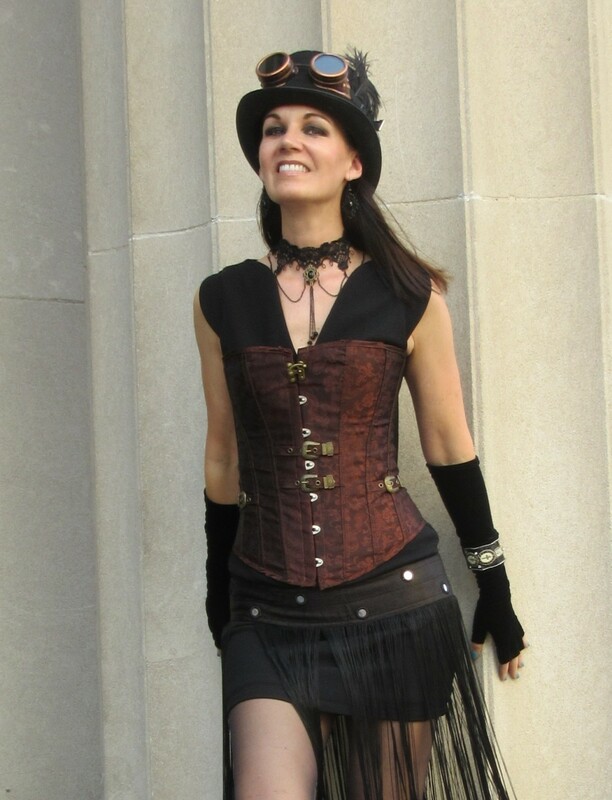 A few examples of steampunk style can be found in the movies Wild Wild West, Van Helsing, The Time Machine and the TV series Murdoch Mysteries. 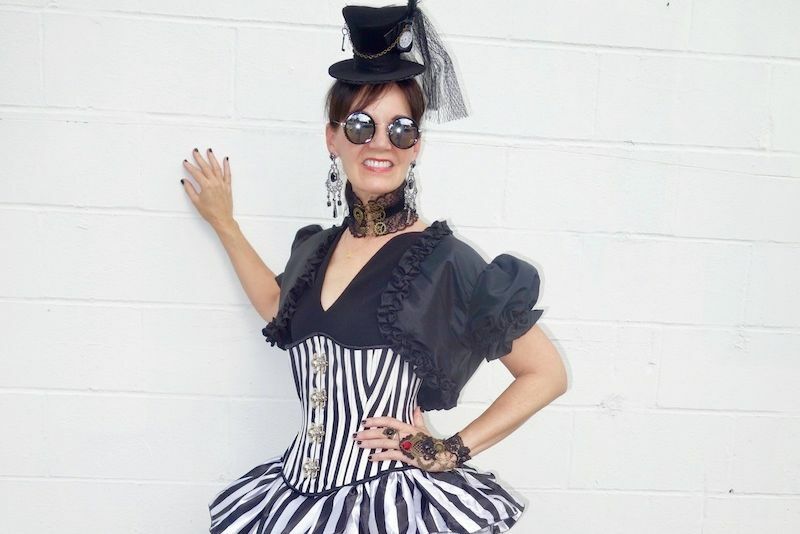 My daughter recently took me to a couple nightclubs near downtown Los Angeles where many of the club-goers were dressed in steampunk clothing. It was the best people-watching ever! Goggles are an iconic and essential accessory to any authentic steampunk look. They are used to protect the eyes when inventing or time-traveling!